A white meat with a hint of fish to bring an unusual but lovely taste . From the forests of central Europe, served with a apple & red onion marmalade and apple fritters. succulent rump steak served with a hunters sauce. a very lean rich dark steak,complimented with a red wine sauce. 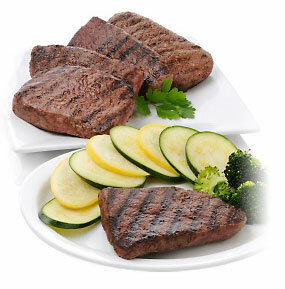 A luxury rump steak served with a creamy garlic and mushroom sauce.